CENTRAL CITY - Marion F. Tinsley, 87, of Central City, died Wednesday, January 16, 2019, at 12:51PM in Central City. Mr. Tinsley was born June 26, 1931, in Echols, a son of the late Clarence and Elizabeth Tinsley. He was a retired insurance adjuster for State Automobile Mutual, and was a member of First United Methodist Church in Central City. 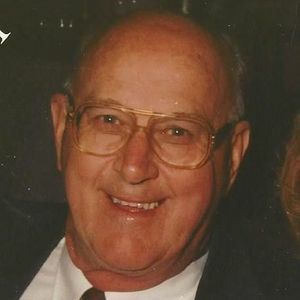 He graduated from Central City High School in 1950, where he was a member of the Golden Tide Basketball Team, which advanced to the state tournament. He also refereed many high school basketball games. He graduated college from Kentucky Wesleyan and received his Masters Degree from Western Kentucky University. He served his country in the U.S. Air Force during the Korean War, and his community as a member of the Central City School Board for many years. His favorite activities included visiting the Mennonite Community in Fairview and bringing home strawberries and tomatoes to his friends. He was preceded in death by his loving wife of 58 years, Janette Walker Tinsley; his parents, Clarence and Elizabeth Tinsley; brother Earl Ray (Gladys) Tinsley; and sister Bonnie (Dave) Cummins. He is survived by his daughter, Susan Beth (Gary) Robinson; son Thomas "Tom" Walker (Heather) Tinsley; grandsons Collin, Grant, and Lane McKenzie; many nephews and nieces (including Beverly Divine of Central City); and many friends, including his McDonald's restaurant buddies. Funeral services will be Saturday, January 19, 2019, at 11:00AM at First United Methodist Church in Central City, with Dr. Kevin Brown officiating, assisted by Pastor Mark Jones. Burial in Rose Hill Cemetery. Visitation will be Friday from 5-7PM at the church. A special thanks is extended to Krista Avery and "chauffeur" Ralph Paxton. Expressions of sympathy may take the form of contributions to First United Methodist Church, Central City. Envelopes will be available at the church. Tucker Funeral Home is in charge of arrangements. Online condolences may be made at www.tuckerfuneralhomes.com. go under the door. Marion F, Tinsley went "Through The Door"
God Bless this Wounderful Man! You were loved by all who crossed your path. Prayers of comfort for your family and your many friends. Tins was one of a kind. He will be missed by many. It won't be the same not seeing him around town. I was honored to call him my friend. I am sorry I am out of town and can't come to his visitation. My thoughts and prayers are with you Susan Beth and Tommy. Even though I only visited with Marion a few times over the past dozen years, I always enjoyed his company. He had a natural wit that made me laugh whenever we were together. He displayed a deep love for his family and spent his life taking care of them. I am very sad at the thought that I will not have the opportunity to spend time with him again. Marion was a good soul. He was an inspiration to all. He was such a friendly person. He was full of life and loved it too. We've lost a kind, rare man. He touched my husband's heart. They drank coffee together every morning at McDonalds in Greenville. He's been in our home to eat several times on holidays and cookouts. My mother, Martha Withrow, had talked to him in my home too. They were the same age. He brought us Tomatoes, Strawberries, and once I told him to get me some Okra and he had it within two days. He'll be missed. I got acquainted with Mr. Tinsley at McDonald's....He Was such a nice, always smiling, kind- free hearted gentleman. We will miss him tremendously at McDonald's.. He always gave me a big UK poster, he would say " it's in my car, go get it" also he would bring in tomatoes, & once he had sorghum & I bought 2 jars from him...Praying that you find comfort in God. Rip Mr.